With 22 licensed commercial launches in the United States so far, the commercial space flight industry is having another busy year. But, with the industry breaking its record of annual launches becoming the norm, the United States air space is becoming increasingly crowded and susceptible to a new type of scheduling conflict: the simultaneous needs of air travel activities and launch operations. This emerging issue is further exacerbated by a new technology factor: reusable components that need further time and space restrictions to safely navigate back down to the surface. This post will explore this conflict by providing background on Federal Aviation Administration’s (“FAA”) current management of the airspace as it relates to commercial launch/re-entry activities and air travel operations. Additionally, we will examine the steps that the FAA is taking in transforming this approach to better handle the increased operational demand coming from activities both up in the air and out of this world. In the United States, different divisions of the FAA coordinate and manage civilian and commercial-related air and space launch/re-entry operations. As an earlier post discussed, the Office of Commercial Space Transportation (“AST”) in the FAA manages the permitting and licensing process for commercial space flights and launch sites. While a license is needed for commercial launches, AST does not manage any launch and re-entry that “the Government carries out for the Government.” However, AST will still regulate spaceflight activities that commercial space enterprises do for the Government (i.e. the Zuma mission conducted by SpaceX on behalf of the U.S. Air Force). Meanwhile, the FAA, via the Air Traffic Organization (“ATO”), manages commercial airspace operations through the U.S. National Airspace System (“NAS”). 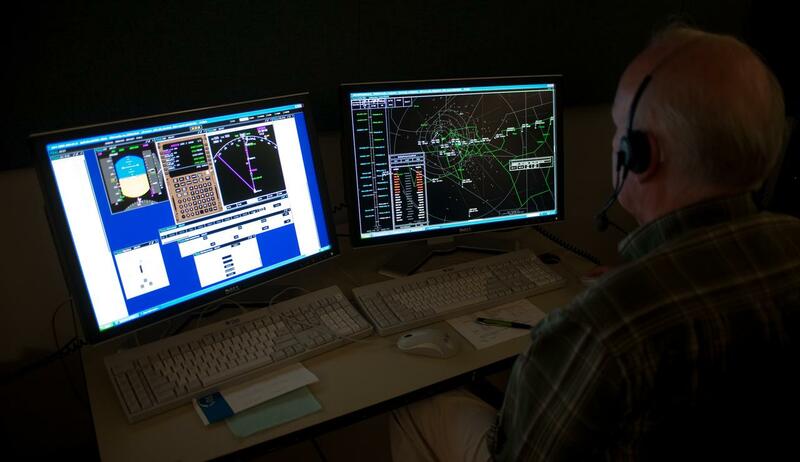 The NAS is the systematic management of the airspace via a “network of air navigation facilities, ATC facilities, airport, technology, and appropriate rules and regulations.” Currently, the FAA is in the process of upgrading the NAS to a new system called Next Generation Air Transportation System (“NextGen”). Under NextGen, technological improvements will be made in (i) navigation (implementation of satellite-enabled navigation systems), (ii) visibility (identification of exact location of aircrafts with a clear vision of surrounding conditions), and (iii) communications (facilitation of new digital communications systems that will enable a network of dynamic, complex instructions to be relied in real-time). With no formal policy in place, the FAA’s current approach to space launch and air traffic operations is determined on a case-by-case basis via the use of aircraft hazard areas to create segregation. An aircraft hazard area is a large volume of airspace that extends from the ground up to infinity that is closed to all other air traffic during a rocket’s launch operations. This zone of segregation between launch operations and airplane activities is used to protect aircrafts from the hazard of falling debris, possibility of collision, and operational risks from the launch or re-entry vehicle. Working with other agencies to open up special use or restricted airspaces to alleviate delays. But, with the commercial space industry launching off to a new era, the FAA is finding itself managing an increasingly crowded airspace. In just 4 short years, commercial launches in the United States have increased from 6 in 2013 to 21 in 2017. This increased cadence is expected to continue with new commercial entities entering the market and technology for reusable rockets becoming more mature. With this sustained increase in operational activities, the FAA’s management of launch activities via aircraft hazard areas is both straining the NAS and testing commercial airline industry’s patience. For instance, SpaceX’s historic launch of its Falcon Heavy earlier this year caused 563 flight delays and “62 extra miles added to flights in the southeast region of the U.S.” With an average “block time” (the industry metric for the total amount of time a flight takes, calculated from push back from departure gate to arrival at destination gate) cost of $68.48 per minute in 2017, each minute of delay and extra mile flown can cumulate into a significant impact on an airline’s bottom line. Furthermore, with additional spaceports and launch sites under construction and being planned across the United States, the impact of these launches and re-entries is no longer localized to specific regions of the United States; the detrimental effects of these aircraft hazard areas, in terms of both delays to air travelers and costs to commercial airline industry, will become more pronounced. Adjusting to these changing demands, the FAA is in the process of transforming its approach. Instead of segregation, it is looking to create an integrated process that will facilitate simultaneous operations of air travel and launch and re-entry activities in the same air space. By focusing on comprehensive planning prior to the launch and re-entry activities, FAA will enable air travel operations to share the airspaces that are active with launch and re-entry operations. In order to facilitate this integration, personnel from the AST and the ATO will work directly with launch and airline operators to ensure that adequate separation, rather than segregation, exists between the different aeronautical activities. By empowering commercial airlines and space companies to better understand the operational needs of each other, the FAA can open up pathways within the aircraft hazard areas that allow for safe commercial air travel. New technologies helping to improve the NAS will also facilitate the effectiveness of FAA’s integration between these different commercial aerospace activities. For example, the FAA is currently prototyping the Space Data Integrator (“SDI”), a system designed to provide real-time data on launch and re-entry activities. The SDI will enable the automation of, currently manual, processes in assessing telemetry and predictive data from vehicle operators during these launch and re-entry operations. By streamlining these processes, the FAA can increase the speed and accuracy of its data analysis leading to the creation of real-time safe passages that can facilitate airline activities through aircraft hazard areas. Hence, while the existing system of segregation will eventually be incompatible with the latest growth and development in the commercial space industry, the FAA is aware of the issues and is in the process of updating its decades-old processes and procedures. With better coordination and the emergence of new technologies, FAA is seeking to transform the U.S. airspace into one that will be capable of handling the flourishing commercial space industry while maintaining the safety and efficiency of its existing commercial airline operations.